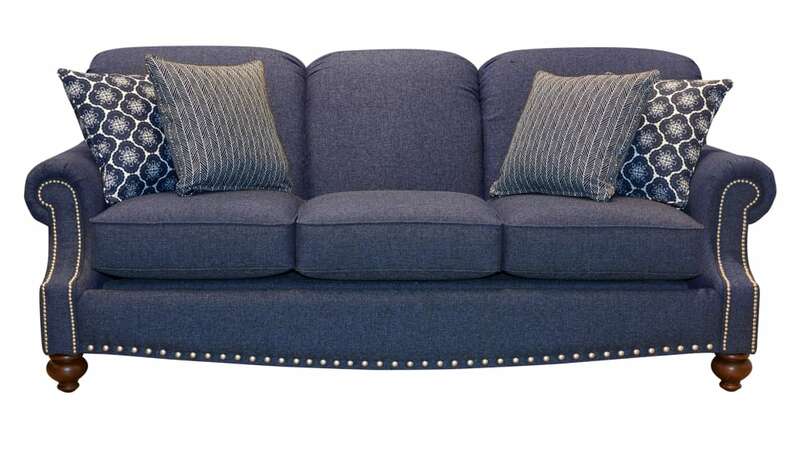 Create a stylish retreat in your home with this Made in America sofa! 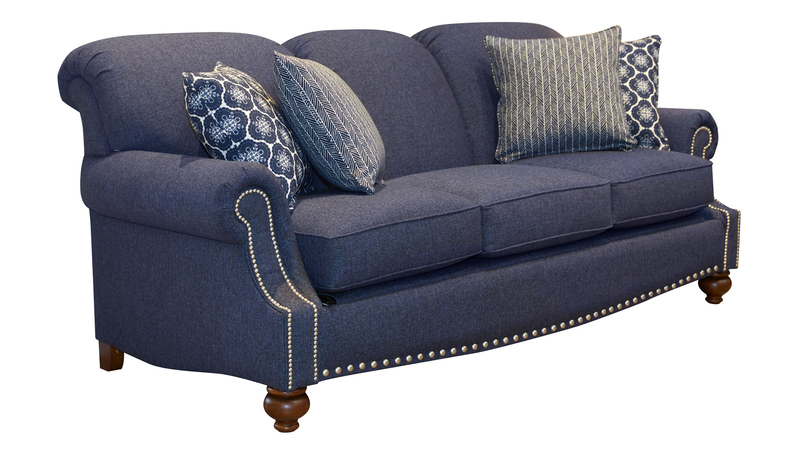 Beautiful blue upholstery and nailhead trim give your space an elegant feel that will last a lifetime. Choose Made in America, and invest in your community at Gallery Furniture!